StraightLine HDD has introduced a 3-inch model to its RockEye line of hammers. The downsized version of the hammer system gives large and small drill operators the ability to economically tackle difficult rock bores. In addition to providing the same precise steering and rock-cutting efficiency of the larger models, the new RockEye requires only 300-400 cfm and 125–150 psi to drill a 4.25-inch diameter pilot bore. Like its predecessors, the 3-inch RockEye hammer system comes complete with two bits, bent sub, transmitter housing, shock dampening transmitter assembly, portable break out kit and a drill pipe adapter. In addition, the 3-inch RockEye comes with a redesigned support pack. With a footprint measuring only 28 inches long and 19 inches wide and weighing less than 150 pounds, the support pack is engineered with job site space and efficiency in mind. 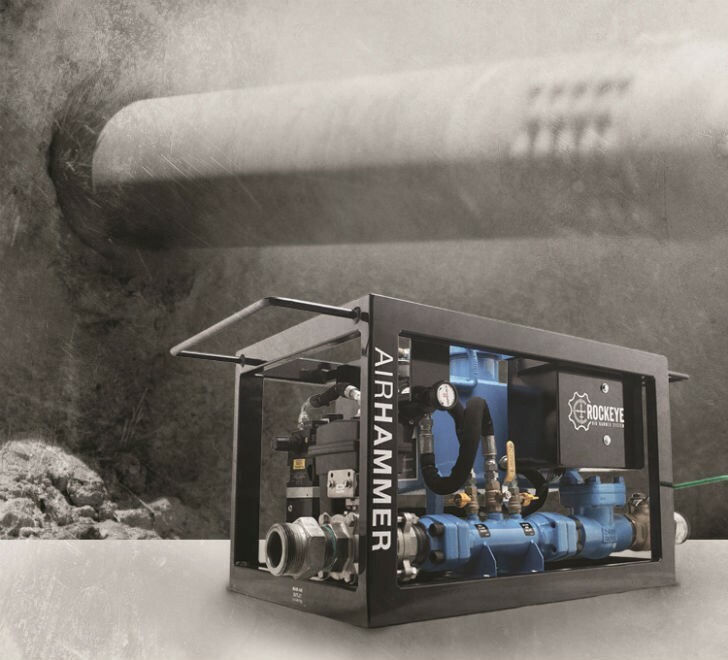 Featuring an adjustable positive displacement piston pump for down-hole lubrication, the system may be controlled wirelessly with the included battery-operated remote control or from the support pack console.